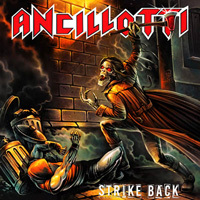 Two years after the release of their debut album, Italian heavy metal family Ancillotti return with Strike Back. It is "all in the family" as the line up has not changed with Daniele "Bud" Ancillotti on vocals, his brother Sandro "Bid" Ancillotti on bass, and his son Brian Ancillotti on drums, with friend Luciano "Ciano" Toscani on guitar. 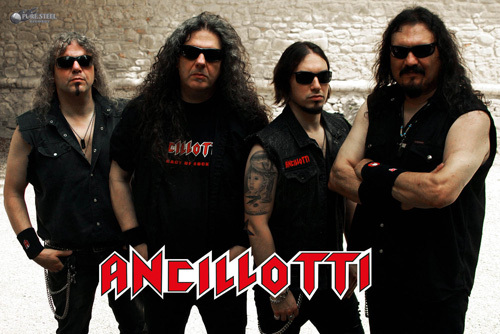 As for Strike Back, it's also a return to form for Ancillotti, never departing from their early traditional melodic, heavy, and power metal roots. Curiously, but not uncommon, Ancillotti does not go with the twin guitar harmony motif. Nevertheless Toscani offers sharp harmonious riffs, accented by equal sharp and soaring leads. Also of some significance is Ancillotti's natural sense of rhythm and groove informing most every song. This gives some songs, like When Night Calls and Firestarter, something of an almost AOR accessibility, thanks to the rock groove propelling the song. Firestarter is also an example of an addition to the Ancillotti sound: keyboards provided by guest musician Simone Manuli. The keyboard presence is minimal and in the context of the full album easy to miss. If they're found elsewhere, I didn't notice. But mostly the songs cruise along heavy power metal swiftness with good examples in Fight, Life Is For Livin', and The Hunter. Overall, once again, Ancillotti's Strike Back delivers the classic and traditional heavy metal goods, and fans won't be disappointed. Recommended. Once again, Ancillotti's Strike Back delivers the classic and traditional heavy metal goods, and fans won't be disappointed. Recommended.